I decided to look at this story because my mum is a nurse. The Health Secretary, Mr Lansley, has apologised for failing to communicate his controversial NHS reform plans after nurses passed a vote of no confidence in him. He refused to deliver a speech to all of the people in the royal collage of nursing, instead, he met 65 nurses as part of the Government's "listening exercise". Nurses voted 99% in favour of no confidence in his management of the reforms, never before has the royal collage of nursing voted no confidence in a health secretary. Why?, because of his healthcare "reforms". 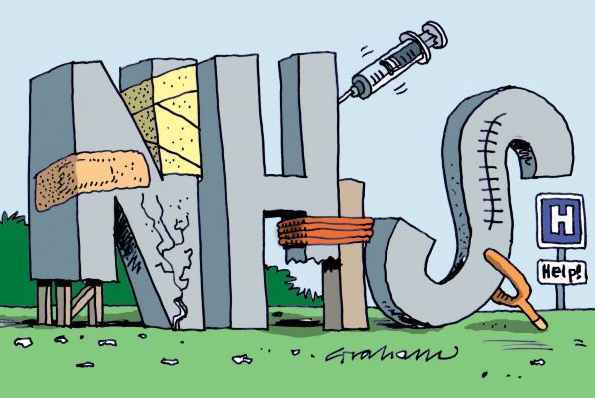 Under the new reforms, family doctors are to be given control of much of the NHS budget, while greater competition with the private sector will be encouraged.This means that the government are going to give too much power to doctors and will start to privatize the NHS. This is a disaster because the doctors nay start to cut down even more on the nurses, who are already understaffed and overworked, and the private companies may start to charge very expensive fees for treatment. Anyone else agree with me that the new "reforms" are terrible? Doctor's jobs are already overly restricted with beurocracy and admin work which they must do themselves or get into trouble but much of which doesn't need doing by anyone. Also, it's difficult for people so close to the actual situations involved to make tough objective decisions about funding.